Scary Dairy Press LLC, 9780996052733, 474pp. What happens when you abuse your mother? It's not pretty. It's not nice. And she can get downright mean and nasty if you don't straighten up and make amends. 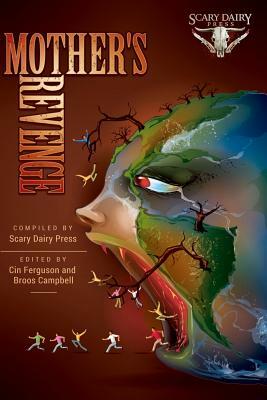 In this mixed genre group of eco-tales, thirty-two authors from around the globe offer up some lessons in why it's wise to be kind to Mother Earth. Read and take heed. Your very life may depend on it. Scary Dairy Press LLC is a new small press that specializes in speculative fiction, dark science-fiction and dark fantasy, horror, bizarro and weird fiction stories that focus on world issues, politics and odd challenges people experience. It donates 10% of its earnings to reputable organizations that work to improve the state of our home called Earth.